In the Buffalo Commons, things widen out. 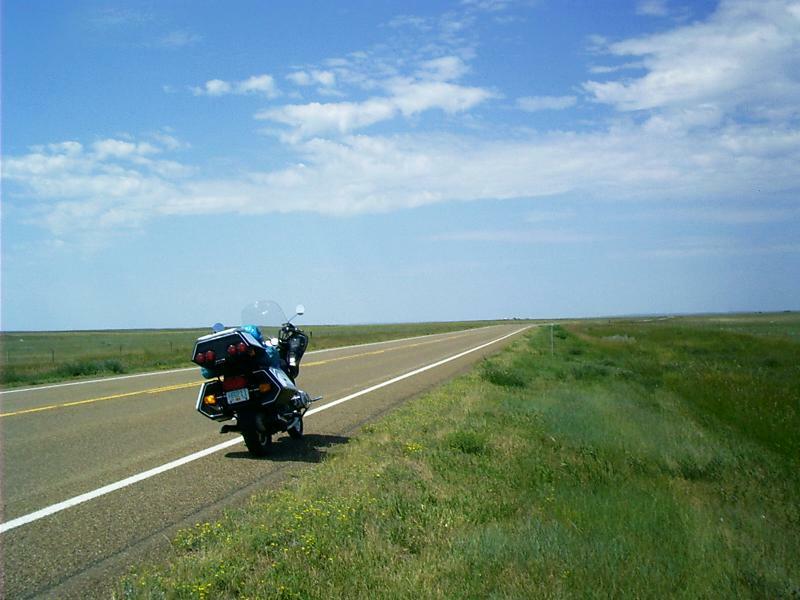 Eventually, one feels he has reached the middle of the continent and discovers a road marker to that effect. 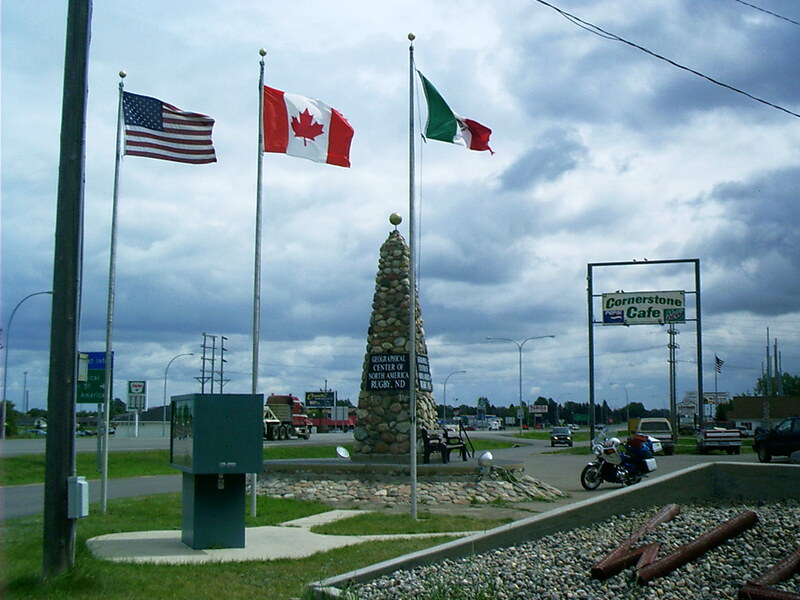 Rugby, ND, is located at the geographic center of the United States, Canada, and Mexico. This fact was overlooked when the town was platted, but, since then, residents have let lapse no opportunity advantageously to point this out. The year 1951 commenced with a snowstorm. A drill had been busy since August in the Williston Basin at the Clarence Iverson farm south of Tioga, ND. At 10,500 feet on January 4, weather shut down the operation. 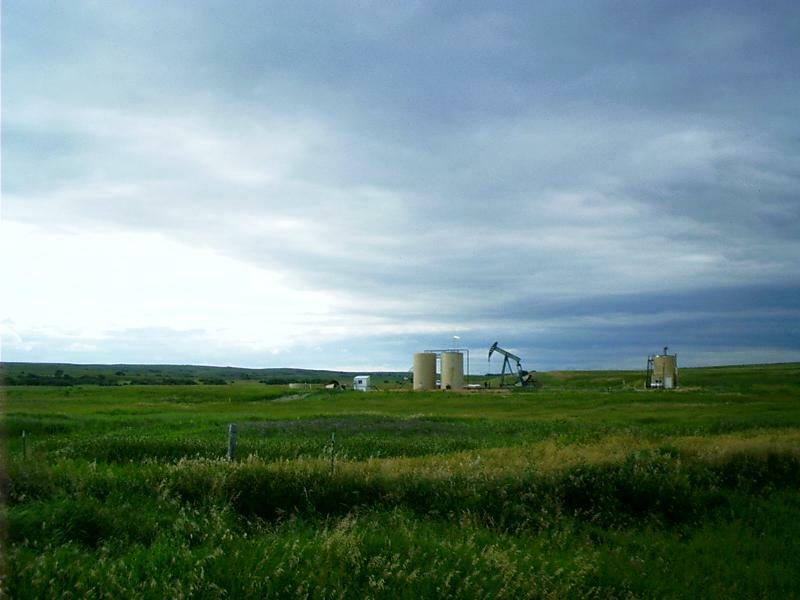 Operations resumed on April 4, and the well came in that day at about 9:30 p.m. A new industry was born in North Dakota. This was the first major discovery in a new geologic basin since before World War II. 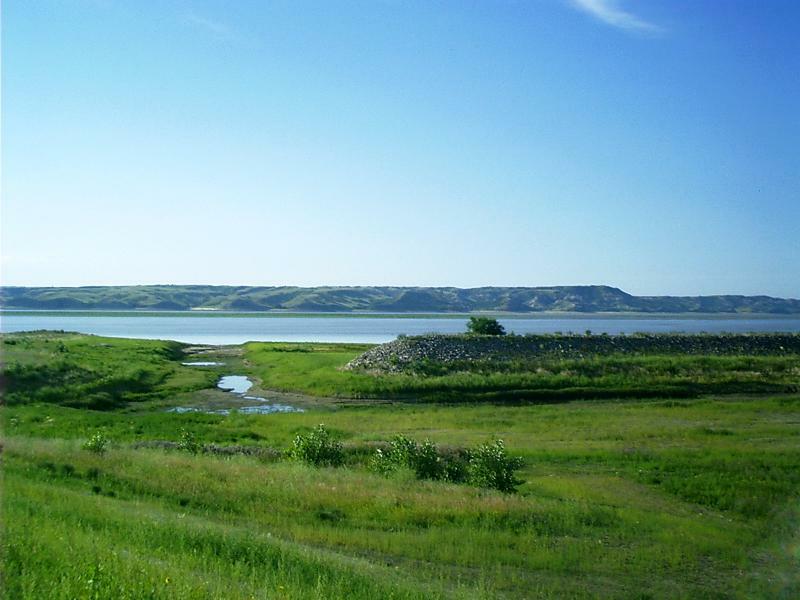 By May 20, 30 million acres of North Dakota were under lease out of a total 44.8 million acres in the whole state! The reservoir level is low because water flow is wanted to keep shipping afloat on the Mississippi River -- especially in a dry spell. ... where I stopped years ago on another trip west. I spent a lot of time at Fort Union. I received the Guided Tour. There is much to see, to appreciate, to ogle at, to boggle at, and to exclaim over, including the Great Northern caboose. This caboose was retired to a yard where it was inhabited by an anonymous hobo before being acquired by the museum. His legacy is an illustrated and annotated interpretation of the Revelation to St. John, inscribed on every interior space with colored felt-tip markers. Doing justice to that amount of culture took some time, too. When I was ready to leave, it was much too late to seek accommodations elsewhere. In hindsight, I suppose that was the plan all along. ... because, of all things, they offered a DSL Internet connection. The next morning, having caught up on eMail and newsgroups, I was off again into the wild blue yonder. The Poplar Pride Ferry made its maiden voyage across the Missouri River in 1949. Some say it was preceded by a cable ferry that started in the late 1920 or early 1930. It ran from April to November unless an early freeze up put it into dry dock. It was established primarily to transport agricultural products from McCone and Richland Counties to the Great Northern Rail Line. To the cattlemen during calving time -- with a north storm threatening -- it meant the difference between livelihood and disaster -- and to the people who were sick it meant life and hope! Before the present Missouri River bridge was opened in 1969, Poplar Pride averaged 276 crossings each month. 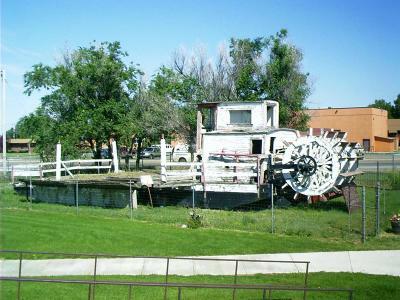 It was pulled from the river in 1969 and was transported to its present site. Poplar Pride -- It served us well! 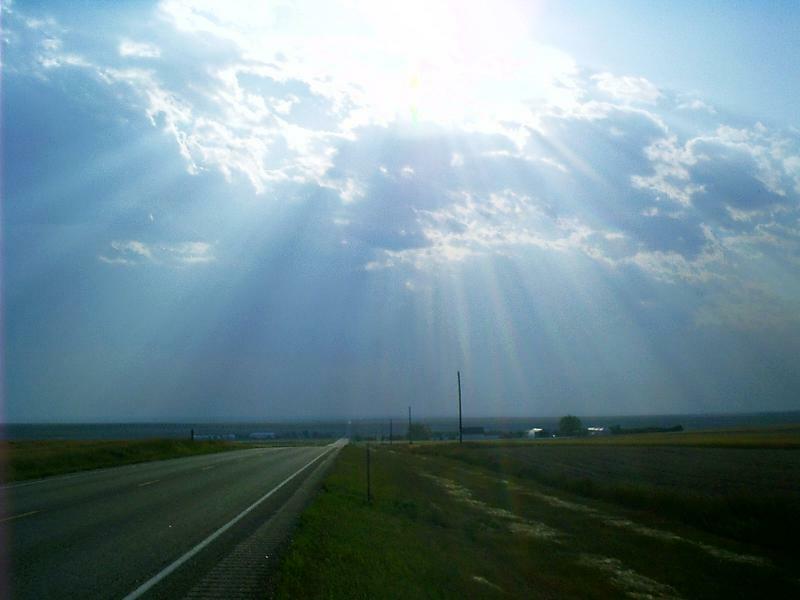 There is a big sky in Montana. This is a test: If you don't recognize the news anchorman, pictured below, who went to school here, you're younger than I. If you do, you're not. Chester "Chet" Robert Huntley (1911 - 1974) was one of the most recognized and respected news reporters ever to appear on radio or television. Raised on a sheep ranch near Saco, Montana, Huntley applied frontier values to his 37-year broadcasting career. After two decades reporting for network West Coast outlets, Huntley was assigned by NBC to the 1956 political conventions where he began a 14-year association with David Brinkley. The Huntley-Brinkley Report won every award available to television news. Huntley's often controversial commentaries championed minority rights and attacked demagoguery and wrongdoing. "Good night, Chet" -- "Good night, David" became American idiom. He's the one at the far left. 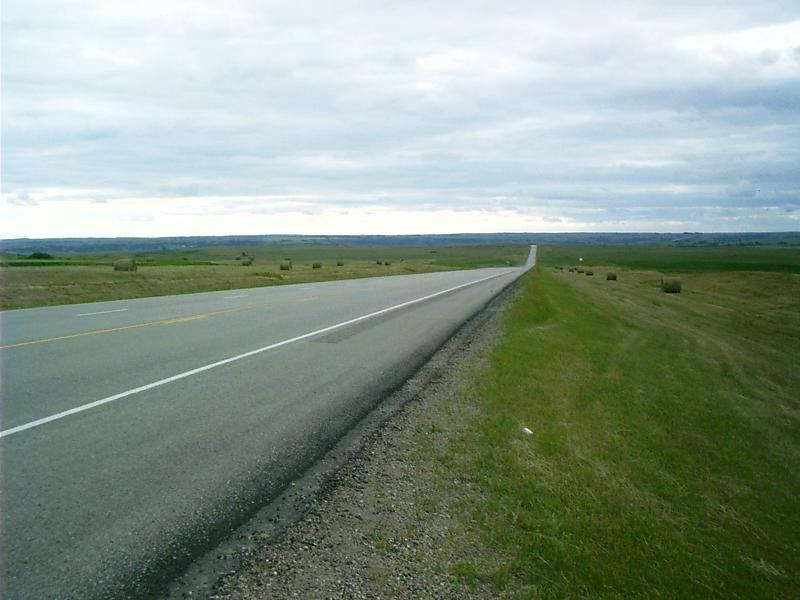 In most places, the roadbed of US 2 has been built up a lot since old photographs were taken, giving historians vertigo comparing them to perspectives that are available today. 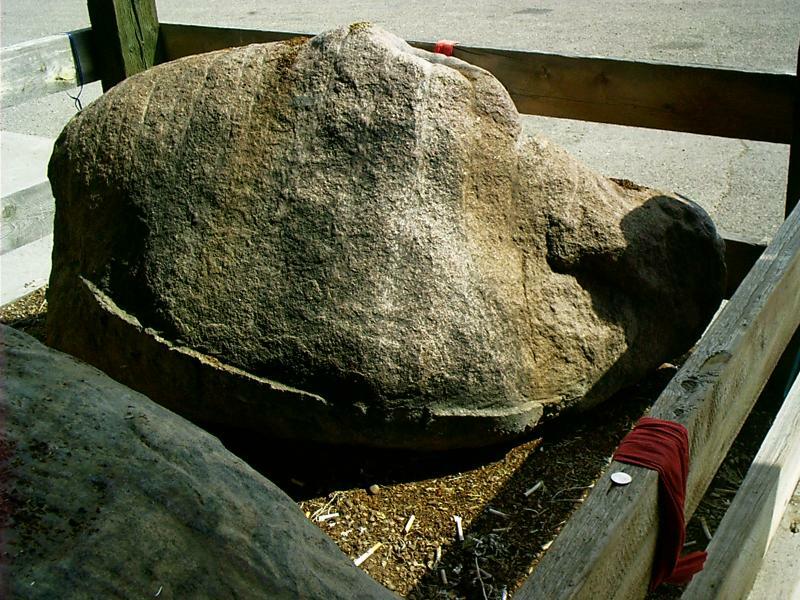 The Sleeping Buffalo Rock resides in its corral under a shed at the junction of US 2 and MT 243. Its shape is suggestive of a buffalo with its legs tucked up resting its chin on the ground. 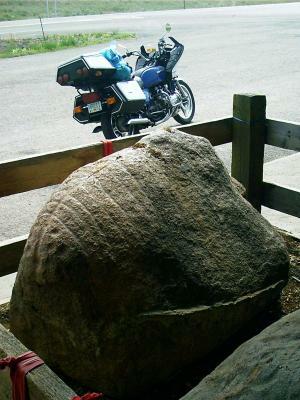 Carvings highlight the outline of ribs and backbone and probably are prehistoric. You should approach the rock with respect. It will tell you what it wants. It appreciates coins (Canadian currency is OK.) and is especially fond of tobacco -- judging from the unsmoked cigarettes that people have left for it. owpunchers, miners, and soldiers are tolerably virile persons as a rule. When they went to town in the frontier days seeking surcease from vocational cares and solace in the cup that cheers, it was just as well for the urbanites to either brace themselves or take to cover. The citizens of any town willing and able to be host city for a combination of the above diamonds in the rough had to be quick on the draw and used to inhaling powder smoke. 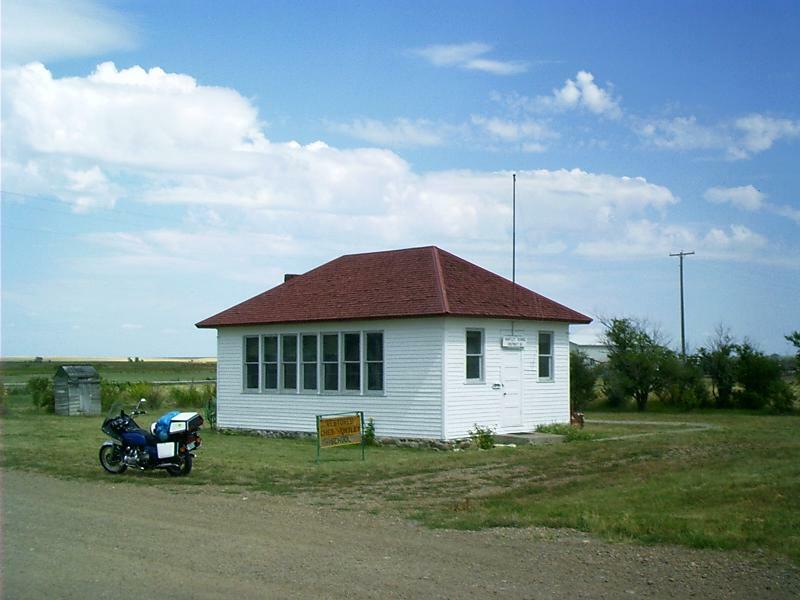 Havre came into existence as a division point when the Great Northern Railroad was built and purveyed pastime to cowboys, doughboys, and miners on the side. It is hard to believe now, but as a frontier camp she was wild and hard to curry. A narrow gauge railroad, nicknamed the "turkey track," used to connect Great Falls, Montana, and Lethbridge, Alberta. When the main line of the Great Northern crossed it in 1891, Shelby Junction came into existence. The hills and plains around here were cow country. The Junction became an oasis where parched cow-punchers cauterized their tonsils with forty-rod and grew plumb irresponsible and ebullient. 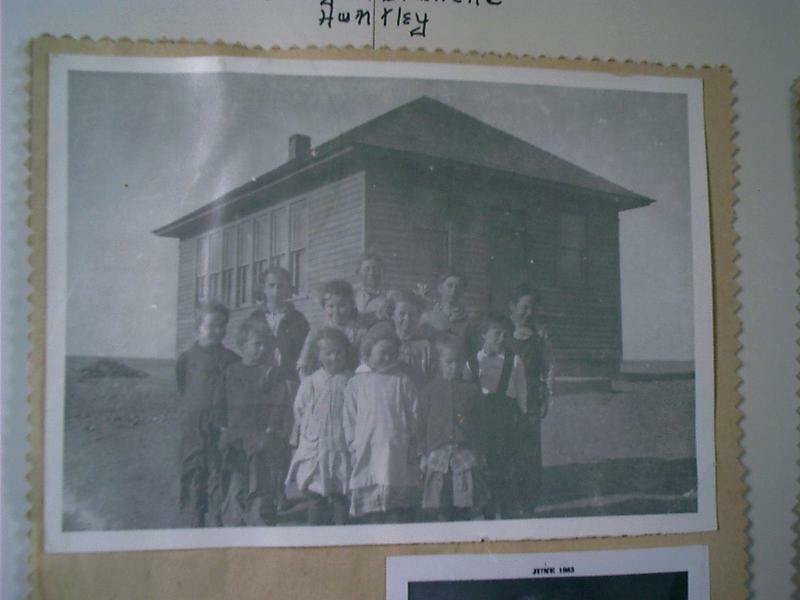 In 1910 the dry-landers began homesteading. They built fences and plowed under the native grass. The days of open range were gone. Shelby quit her swaggering frontier ways and became concrete sidewalk and sewer system conscious. Dry-land farming didn't turn out to be such a profitable endeavor, but in 1921 geologists discovered that this country had an ace in the hole. Oil was struck between here and the Canadian line, and the town boomed again. Forest fires in Washington were making a lot of smoke as I headed west. The opaque atmosphere impacted most of this trip's photos. 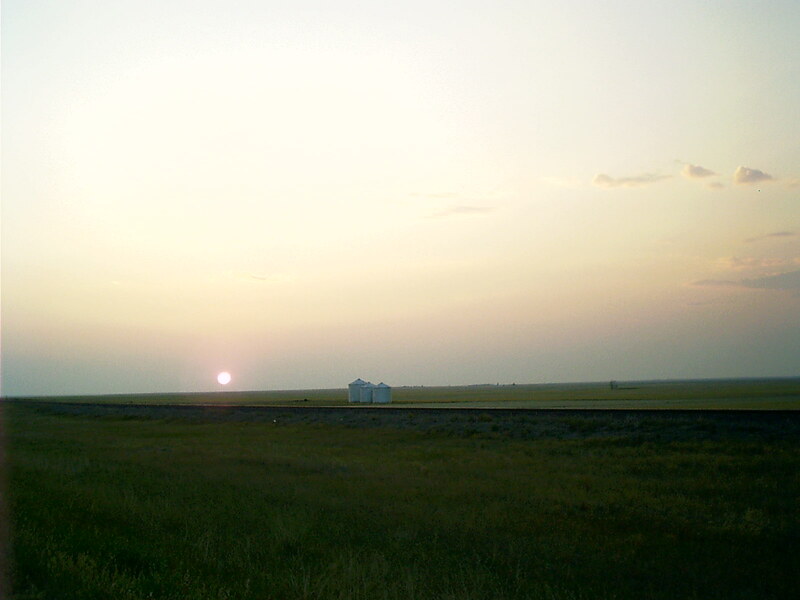 The twilight comes late and lasts long on the land near the northern borderline with Canada. Rhode, Chuck. "Through the Buffalo Commons." The Hi-Line and the Yellowstone Trail: To Glacier Park and Back Again. 1 Sept. 2004. Lacus Veris. 24 Apr. 2019 <http://lacusveris.com/The Hi-Line and the Yellowstone Trail/The Buffalo Commons/Through the Buffalo Commons.shtml>. Last modified 6 Oct. 2015. Served 12180 times between 16 May. 2010 and 23 Apr. 2019. Contact mailto:CRhode@LacusVeris.com?subject=LacusVeris.